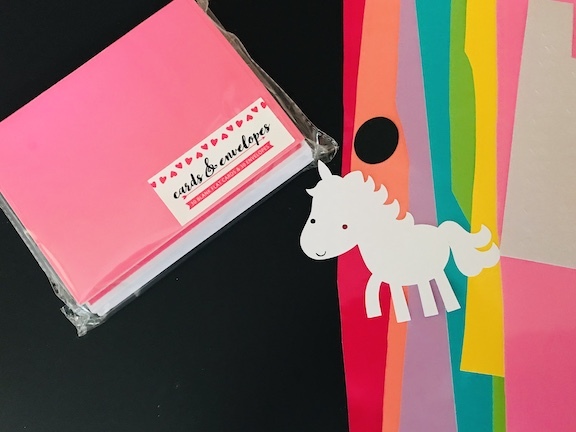 Do you know someone who loves unicorns? My daughter does! She loves unicorn stuffed animals. 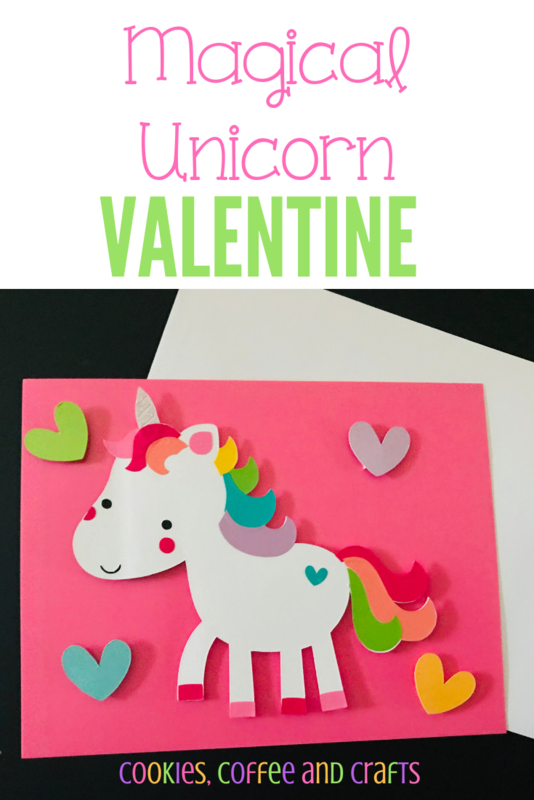 With Valentine’s Day coming I had to create Magical Unicorn Valentines for her. These are so cute. This is the friendliest and cutest unicorn I have ever seen. 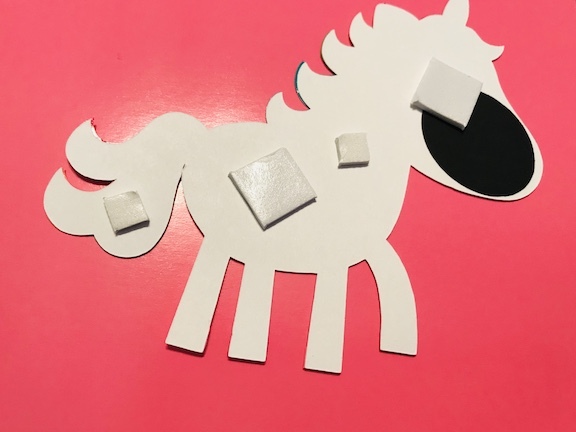 To get started, I found this adorable unicorn SVG at Lori Whitlock’s SVG Shop. 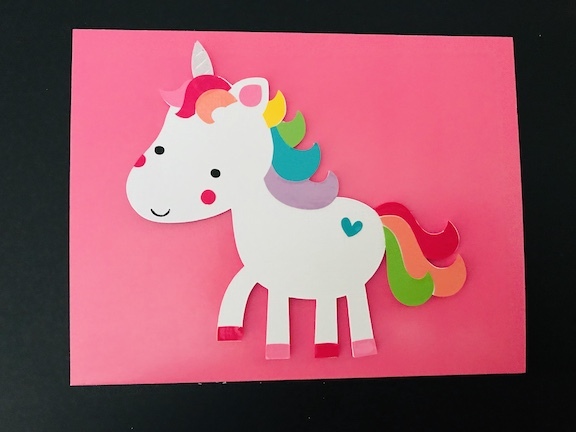 I just found her site and it’s my go to now, even if I have to buy it, but this unicorn was totally worth the $1.49. My daughters face just lit up when she saw it. It looks just like her unicorns. I uploaded the SVG into Cricut Design Space™ and sized the design to fit onto the cards I found at Target. 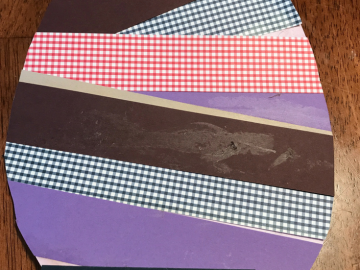 I found this set of flat pink cards in the dollar spot (they were $3) and I found red ones for my son. I’ll be working on his Valentines Day cards next. The flat pink cards are the size of A2 cards. 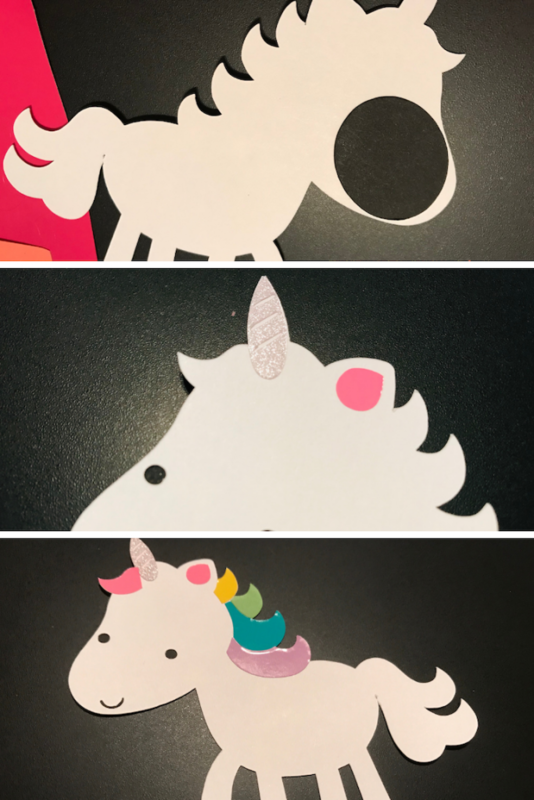 Since this unicorn has so many colors and pieces to glue, I like to use vinyl for the small pieces. The advantage is they are already self-adhesive. The vinyl was really easy to put on the unicorn with the only tricky part being the tail. I did use black card stock for the oval shape on the back to go behind the eyes and nose. I do look at the SVG at the beginning as I begin putting the layers on the unicorn. The horn must go on first before you can add the top part of the main and the main and tail need to be completed from top to bottom. 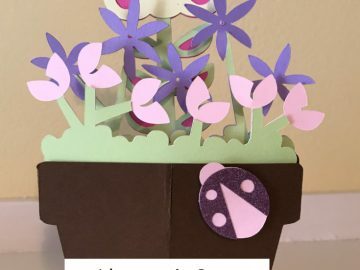 I feel like the use of 3D pop dots is a little much for a kids Valentine, but I couldn’t help it. Glueing it flat just didn’t make it seem magical. 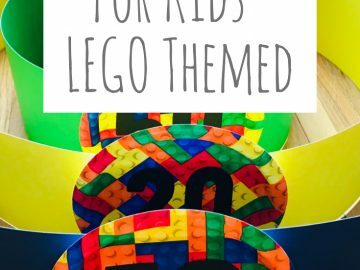 I used large foam squares and small foam squares . To give it more of a magical Valentines feel, I added hearts around the unicorn. 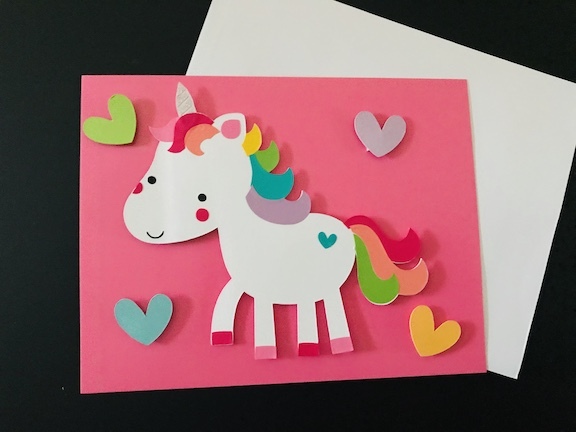 This card is perfect for birthdays, get well or thinking of you if you know someone who loves unicorns.